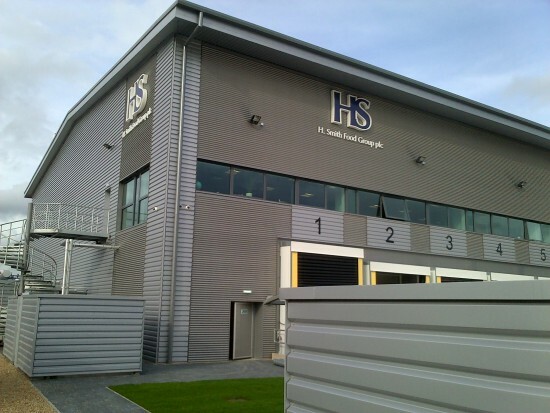 The building consultancy team was appointed by one of the UK's leading wholesalers and importers of frozen food products, H Smith Food Group plc, to advise on its new purpose built 35,000 sq. ft. cold store facility in Rainham, Essex. Vail Williams acted as ‘Owner’s Representative’ on behalf of the client to advise on the commercial aspects of the commercial property acquisition transaction, agreeing the design and build of the facility and securing its successful completion within tight timescales. As part of this, and drawing on the expertise of our property asset management team, we agreed the specification and drawings for the building with the developer and their design team, liaising on the detail of the development agreement with all parties involved in the property transaction. Once agreement on the design of the building was reached, our property development consultants closely monitored the works on site – both on behalf of the client and their funder – to ensure completion could be reached on time and on budget. The quality of the works was then monitored and payment requests were made by the developer and contractor which were validated on behalf of the client, and the team took responsibility for dealing with variations to the original design. The client required the works to be completed quickly and efficiently in order to get the facility fully operational by October 2014. The works commenced on site in January 2014 and the building consultancy team was able to ensure completion of the facility was achieved within the timescales required by the client, including the successful commissioning of the cold store down to minus 17°C.